20 HR on an SLA Battery? You may see “20HR” on your battery and wonder what does it mean. 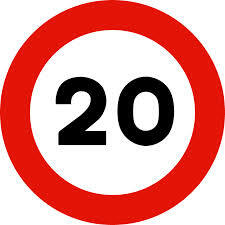 Simply said it means 20 Hour Rate. Usually SLA Batteries are rated at 20HR. 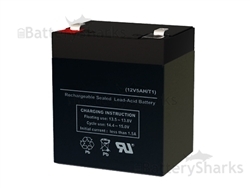 A High Rate Battery on the other hand is generally rated at 10HR or less. Lets say a SLA battery is rated at 20Ah capacity at 20HR. This basically means that the battery can discharge 1 amp per hour over a 20 hour period. A High Rate battery with the same amperage (20Ah) and with 10HR will be able to discharge 2 amps/hour over a 10 hour period. If batteries are discharged quickly they will have less effective capacity. This is called the Peukert’s law. As the discharge rate increases, the battery’s available capacity decreases. If you discharge a 20Ah (20HR) battery over a 5 hour period you may have a loss of 25% and end up with 15Ah effective capacity. On the other hand, if you discharge a 20AH (10HR) battery over 20 hours you may end up with 23Ah effective capacity. Why do High Rate Batteries have lower Hour Rate? 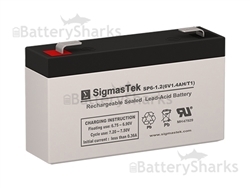 High Rate Batteries are designed much differently than general purpose SLA Batteries. This is done in order to maximize quick discharge at the expense of deep cycling and cyclic life and is vital for their main usage – powering high powered UPS applications. The plates in these batteries are thinner, but more numerous. High Rate batteries can discharge higher amps over a short time. 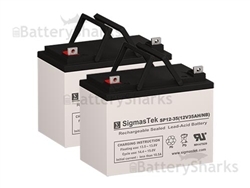 For instance a 20Ah (10HR) High Rate Battery can discharge 70 amps over a 5-minute period, while a general use SLA battery may only be able to discharge 45 amps. High Rate batteries require very little maintenance and typically have a longer life. Often they have longer warranties than other SLA Batteries. Keep in mind they are not to be used as a primary source of power in an everyday application.